Enhance the colour of your eyes with this Emerald beauty. 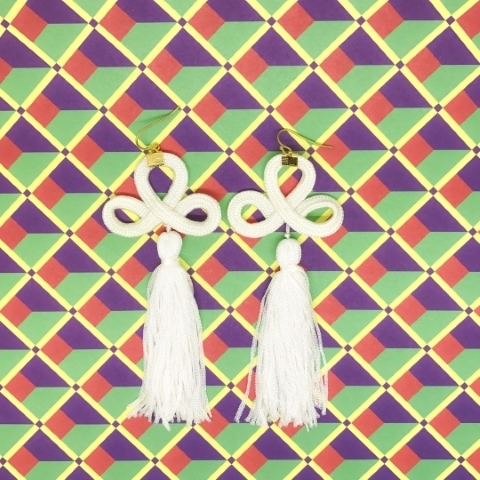 An added punch to your outfit with these tiered tassels earrings. 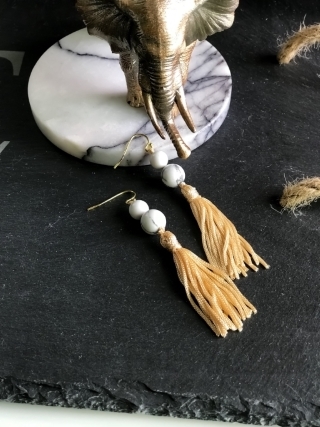 Marble beads anchored atop of these romantic tassels. A monochrome favourite that is your quick grab-to-go jazz to any outfit! Bold and playful look in a second! *Please note that this is backorder listing; Order will take up to 1.5 weeks to fulfil. Wine leather tassel drape from twisted paisley pendant. 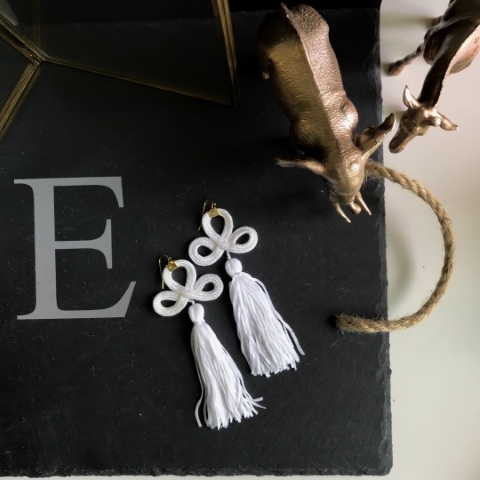 Cream leather tassels drape from white pom poms! 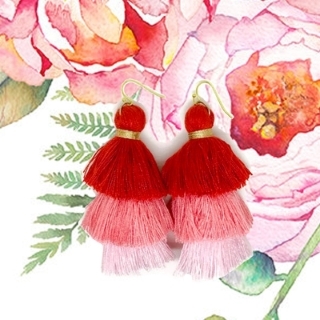 Poms + Tassels = most fun combi ever! 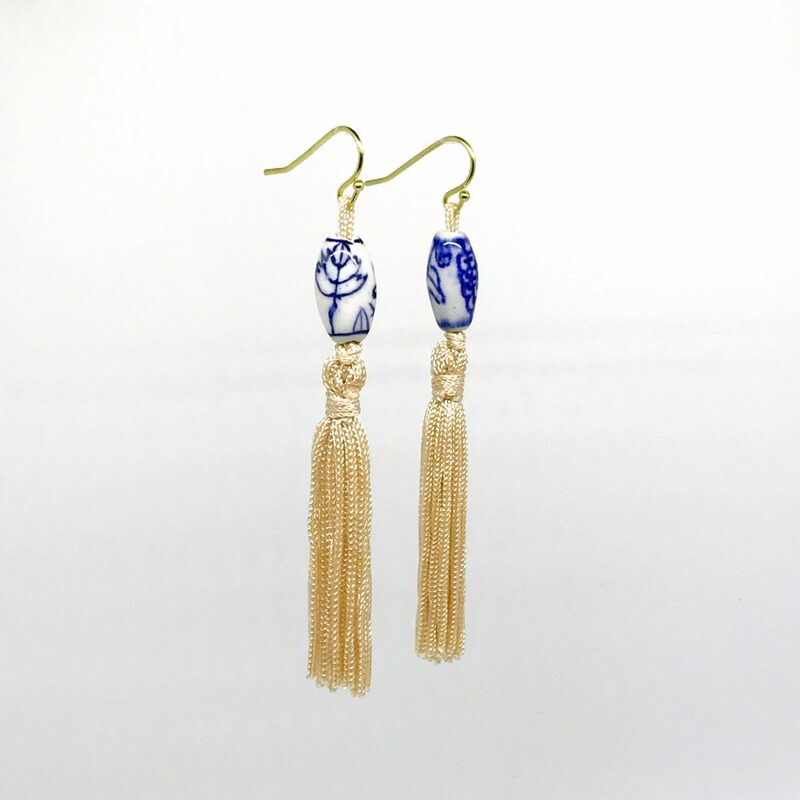 Porcelain beads anchored atop of these romantic tassels. 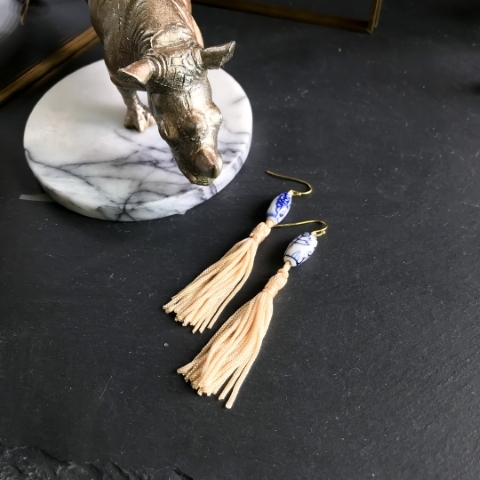 Soft tassels drape from faceted oval shaped royal blue glass beauty. 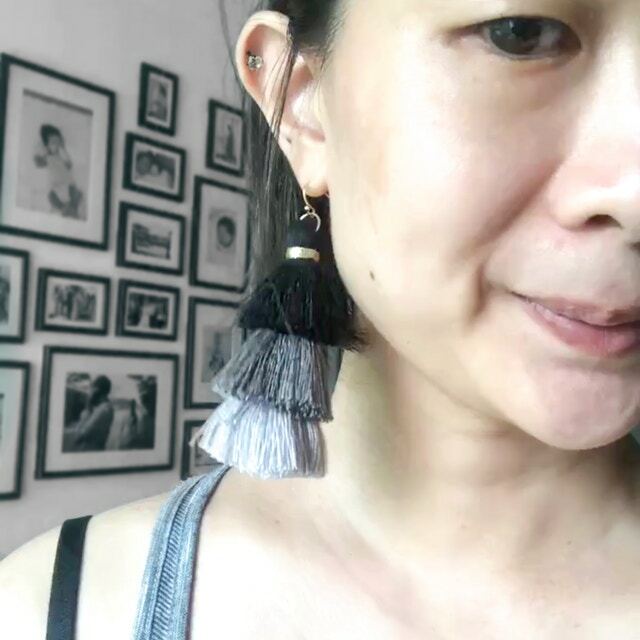 Black leather tassel drape from twisted paisley pendant. 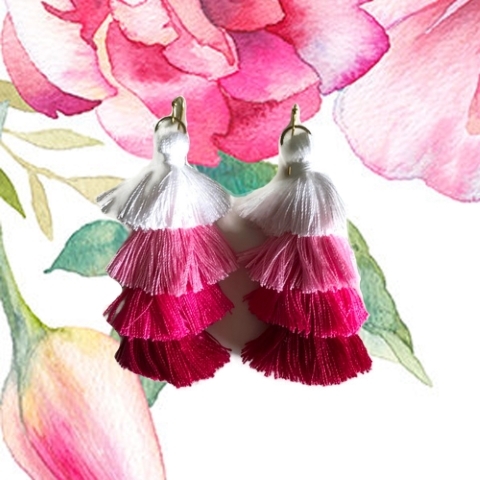 Statement earrings to boot a little drama to your style. 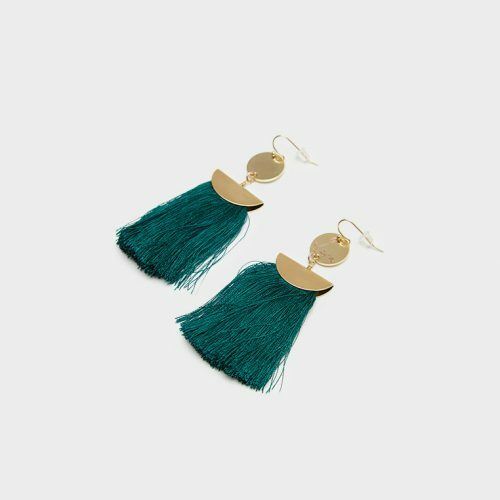 Mix of soft fabric & metal tassels lend an edgy style to these tassel earrings.